Seemingly without end, political groups, government officials, and media outlets continue to blame Israel for unrest in the Mideast. At best, they lament the “cycle of violence,” suggesting that both sides are equally to blame. With so many outlets providing platforms for misinformation, it’s no surprise how many people believe that Israel is at fault for denying the rights of the Palestinian people to live peacefully in the land that has been theirs since time immemorial. Before 1920, even the concept of a Palestinian people did not exist. Arabs living in the region considered themselves part of greater Syria, until the French and British divided the region and ended hope of a single commonwealth. Only then, in a desperate attempt to create a national identity out of whole cloth, local Arabs proclaimed themselves Palestinians and begin lobbying for a country of their own. And they got what they wanted. The next year, Colonial Secretary Winston Churchill divided the region into what are now Jordan and Israel. 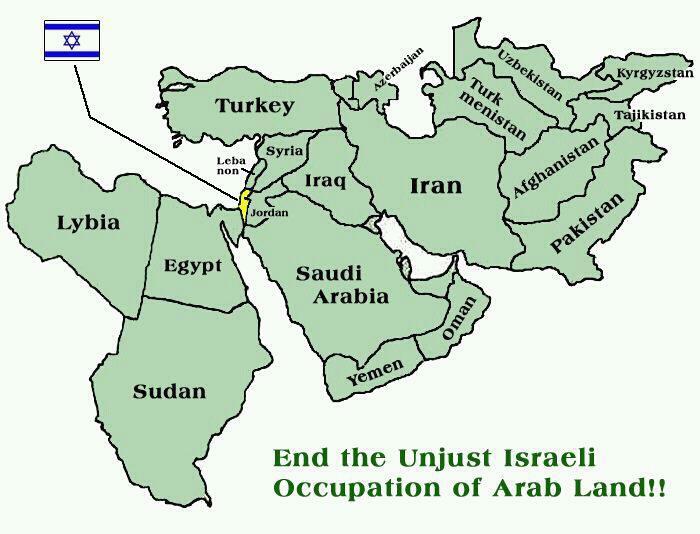 The Arabs received 76% of the land. The rest was reserved as a Jewish homeland. But even that was not enough. In 1947, the United Nations divided the remaining territory roughly in half, leaving Israel with 13% of the original Mandate. The Jews accepted the compromise. The Arabs launched a war against the Jews. Between 540,000 and 720,000 Arabs fled Israel, encouraged by leaders who promised that they would return to their homes after the Jews had been pushed into the sea. Over 70 years later, about 5 million Arab refugees remain, many in squalid camps, unsettled by their own people because of their value as a bargaining chip to demand repatriation or restitution that Israel cannot afford to give. You can’t make peace with people who don’t want peace. On, 11 Dec 1948, the UN passed Resolution 194, frequently invoked by Arab leaders b/c it calls for repatriation of (or compensation for) all refugees (Article 11). Every Arab country voted against the resolution, which also guarantees access to holy sites (Article 7) and calls for commitment to peace. Of course, no one ever mentions the 860,000 Jews who fled for safety from Arab lands at the same time, resettled by Israel without ever receiving restitution from the Arab countries that expropriated their homes and property. We also don’t hear how, in 1949, Israel agreed to repatriate 100,000 Arabs as part of a peace negotiation; 35,000 were allowed to return, until repatriation was halted b/c of Arab refusal to make any compromises toward peace. 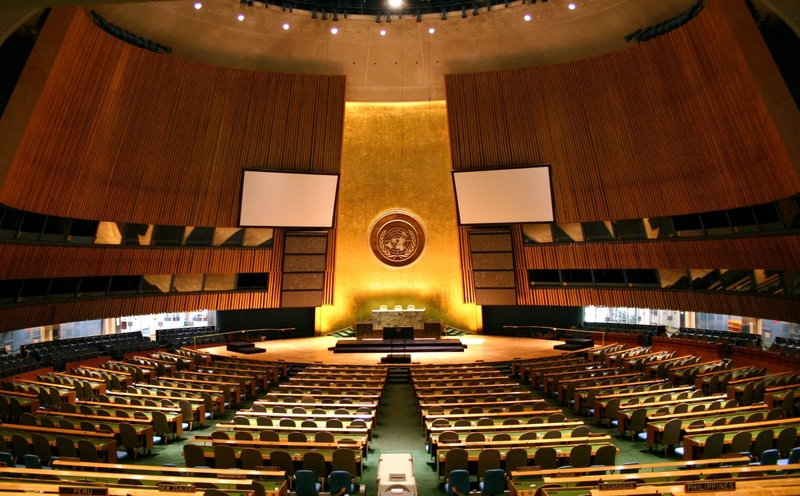 In early 1950, the UN General Assembly established the United Nations Relief and Works Agency, with an annual budget of $54 million. Arab governments refused to cooperate. In 1959, only $7 million had been used while another $28 million lay available in a fund that was never used. But the strategy of Arab leaders has always been to use the refugees as a pretext to reject peace in pursuit of their ultimate objective: genocide. Even after getting 87% of the mandatory territory in 1920 and 1947, they still rejected the UN partition, then tried to exterminate Israeli Jews in 1947, 1967, 1973, and have continued terror attacks until today. By rejecting peace and inciting bloody uprisings, Arab leaders have condemned their own people to lives of poverty and violence. For years, families of suicide murderers were paid tens of thousands of dollars to encourage their “martyrdom.” Murders of Jews are celebrated and their perpetrators turned into heroes by naming streets and schools after them. Yasir Arafat, founder of the Palestinian Liberation Organization (which was established in 1964, three years before Israel had control of the West Bank region, Gaza, or the Golan Heights), embezzled billions of dollars that could have helped his own people. There are many Palestinians who truly want peace, but any suspected of disloyalty to the power structure and the status quo are executed as sympathizers or collaborators, or else have their families threatened if they don’t “prove” themselves. And Palestinian children grow up in schools that teach hatred of and victimization by Israel, attend paramilitary camps that train them to kill Jews, and learn that the Holocaust is a myth fabricated by Jewish sympathizers in the Western World. But facts don’t matter. Instead, again and again, Israel is smeared with the same slanderous refrain: occupation, oppression, expansion, apartheid. It doesn’t matter that Israeli Arabs enjoy greater prosperity, literacy, and life expectancy than the Arabs in the surrounding countries. Not to mention freedom. Just as it doesn’t matter that Israeli Arabs have been represented in every walk of life, including an Arab captain of the Tel Aviv football team, an Arab deputy speaker of Knesset, an Arab Supreme court justice, and an Arab Miss Israel. 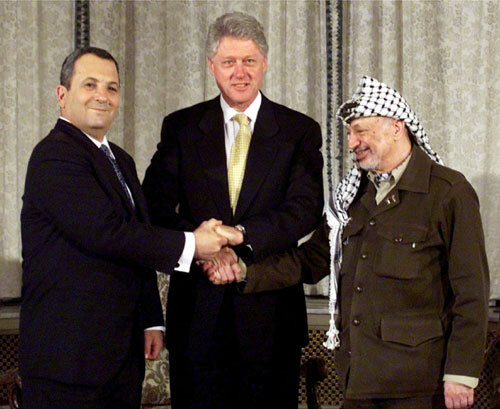 It also doesn’t matter that all the way back in 2000, Yasir Arafat refused to accept Israeli Prime Minister Ehud Barak’s offer to return 94% of the West Bank to the PLO. It doesn’t matter that Israel withdrew from Gaza in 2005, after which Gazans destroyed the infrastructure of greenhouses left behind by the Israelis that could have fed them. It doesn’t matter that Hamas leaders used their new autonomy to launch missiles against Israeli civilians, while using their own people as human shields in order to win over public opinion. It doesn’t matter that Hamas embezzled millions in humanitarian aid to build sophisticated terror tunnels under the border to attack Israelis. It also doesn’t matter that the IDF goes to lengths no other country in the world would ever consider to minimize the collateral damage to Arab civilians, dropping leaflets warning of impending attacks and placing its own soldiers in far greater danger than the rules of warfare require or that make sense from a military point of view. Instead, the propaganda campaign against Israel goes on, even when the casualties are Palestinians themselves. Like when a Palestinian girl stabs a Palestinian man whom she mistakenly believed to be Israeli, the headlines scream Palestinian teenager killed by Israeli forces. And like the 900 workers losing their jobs because the BDS zealots managed to coerce Sodastream to relocate over the green line; it doesn’t matter if a few hundred more martyrs are reduced to poverty if the ideologues can score a PR victory against Israel. The European community and the Obama administration have ignored these facts and evidence to embrace political correctness and moral equivalence, thereby enabling Palestinian violence against Israeli Jews and prolonging the suffering of Jews and Arabs alike. By Yonason Goldson in Moral Compass, Politics on December 17, 2015 .